At first glance, Beaverton head coach Josh Johnson could easily be confused for one his grapplers, maybe an injured wrestler shouting out instructions to his teammates from the sidelines. At just 25 years old and still in tip-top shape from his collegiate wrestling days at Warner Pacific, Johnson could shave the stubble off his chin and sneak into a high school match to show the Beaver program how it's done, should he decide to give it a go one last time. But don't mistake Johnson's youthful appearance for a lack of wrestling worldliness. Johnson was pegged as a future head coach from a very early age. He's been a coach's kid his whole life, somebody who learned at the knee of his dad, Frank Johnson, a widely renowned and respected wrestling guru who churned out six state champions during his tenure at Forest Grove High School. Frank coached Josh first at Forest Grove, then at Warner Pacific, and his influence on his son is vast. "He taught me what I know," Josh Johnson said. "I do some things my own way, but pretty much everything I know I've learned from him. He was almost more excited for this job opportunity than I was. Having him back me up is great for me. I know I'm not going at this alone. It's about learning and getting better." Both of Johnson's parents are teachers, so he grew up in an environment of selflessness and giving back, particularly to kids. Johnson was a superstar in high school, a two-time Class 6A state champion with tireless stamina and attention to detail in the lighter weight classes. He was quick, fast and technically advanced from a skill set standpoint. Growing up around the sport, wrestling with Frank in the living room, being instructed by some of the best coaches in the country, Johnson learned the ins and outs of takedowns and reversals, but more so he had a feel for wrestling. Naturally, his passion for the sport spurred an interest in coaching. Getting a head coaching job so soon out of college wasn't necessarily part of Johnson's plan, but when Beaverton athletic director Mike Blok reached out just a month before the season, he accepted albeit nervously at first. "Wrestling will always be a part of my life whether I'm competing or coaching," Johnson said. "I was hesitant (to take the job). I had just graduated and wasn't sure if I wanted to commit to something so big. I wasn't sure if I was ready. But the influences in my life, like my dad and other coaches, told me I was capable. (Blok) is a great guy and he told me I'd have a lot of support during the season. A lot of it was just me believing in myself and believing in what we can add to these kids." Johnson's long-term vision for the program consists of building a group that fights for the full six minutes of a match if need be, a unit that's rugged, durable and able to overcome difficult challenges. Junior Sandrey Mitberg fits that mold for sure. Coming off a great junior campaign on the football field, the 220-pounder possesses state meet aspirations. 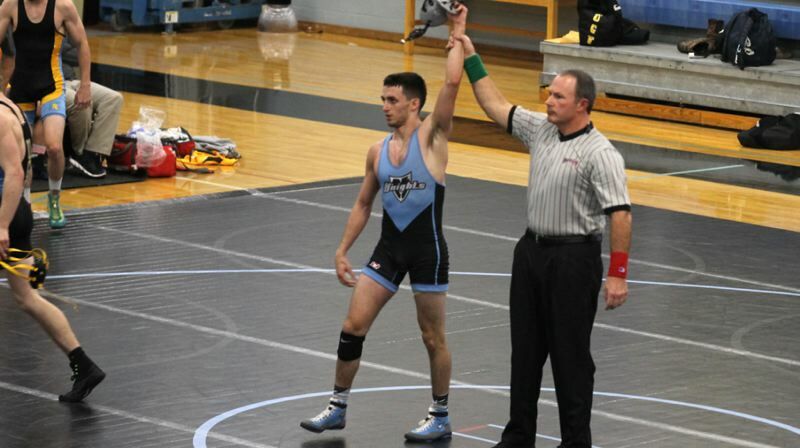 Look for others such as 138-pound Drew Field, 145-pound Vincent Vanzuylen, 182-pound Miguel Hernandez and 285-pound Ryan Turner to contend for dual meet wins throughout the season. "Technical aspects of wrestling you can learn, but it's hard to teach a kid to be hard-nosed," Johnson said. "They kind of have to have it. If we're in there battling the whole time and (the opponent) remembers 'Hey this kid is from Beaverton, he's tough physically and mentally', that's what I want to be known for, ultimately." 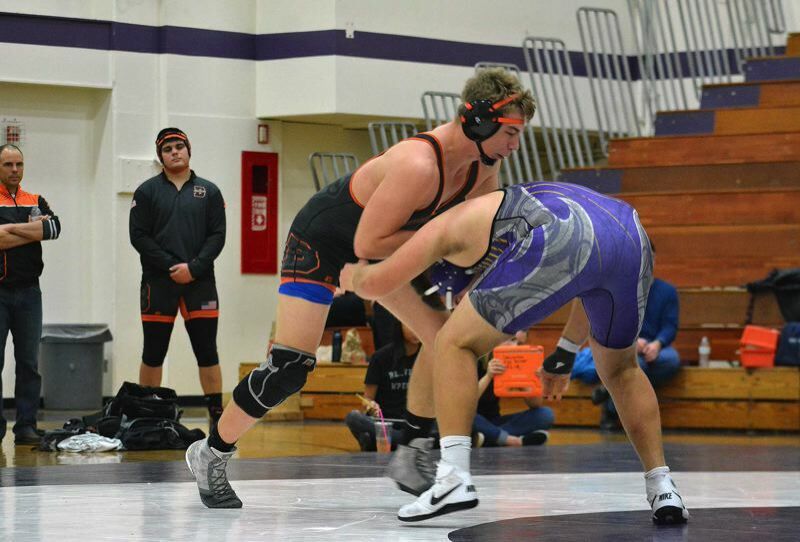 As a 103 and 112-pound wrestler, Johnson said he wasn't "the strongest guy" but that fits perfectly with the new batch of lighter weight Beavers who are new to the program this year. Johnson's staff is full of former collegiate wrestlers, many of who are the same age as him and competed at the next level. Confessedly, Johnson said he has a hard time with patience but knows his team is filled with rookies and newcomers just beginning to get their feet wet. He's been busy instilling strong practice habits in the Beaverton wrestling room, hammering home the fact training hard will equate to more success come match time. But above all the novice head coach simply wants to see strides from his pupils and be open to constructive criticism. "I want to motivate these guys and add value to them," Johnson said. "At the end of the day, if they learn something from me, I'm ok with that. I want them to get better at wrestling. If they're better at the end of this year than they were at the beginning, then I can be happy. And if they keep doing what we've asked them to do, then they will improve. We've already seen it. I'm excited these kids, they've shown a lot of potential."